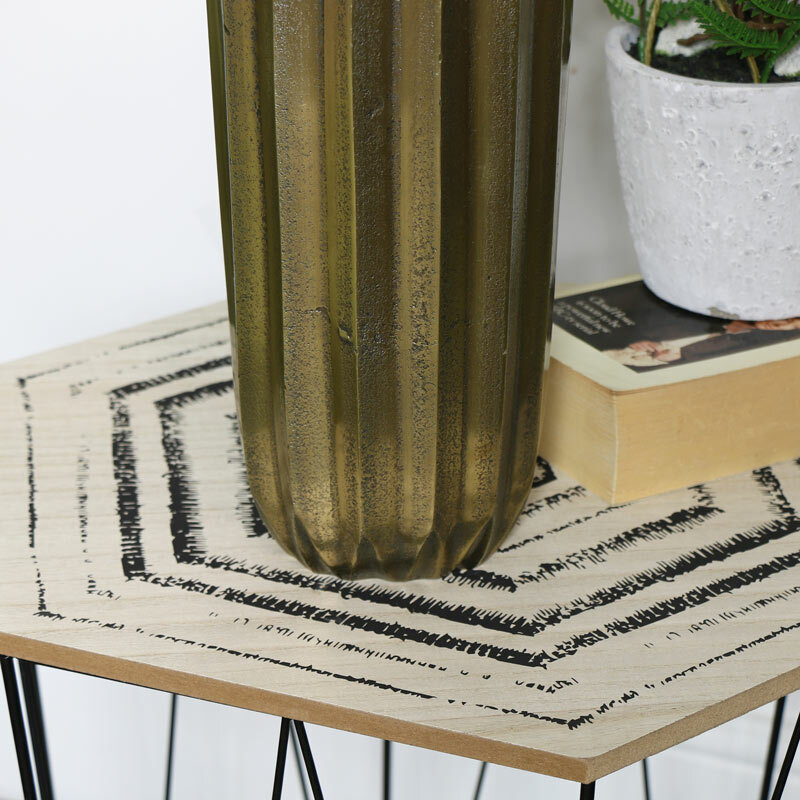 Add a contemporary look to your home decor with this stunning gold bottle vase. Perfect for creating a stunning floral display with a single stem or flower arrangement or simply as an ornamental feature. Designed with a ridged effect surrounding the body and neck of the vase. Offering a unique and decorative look, this will look fantastic on a sideboard or console table. 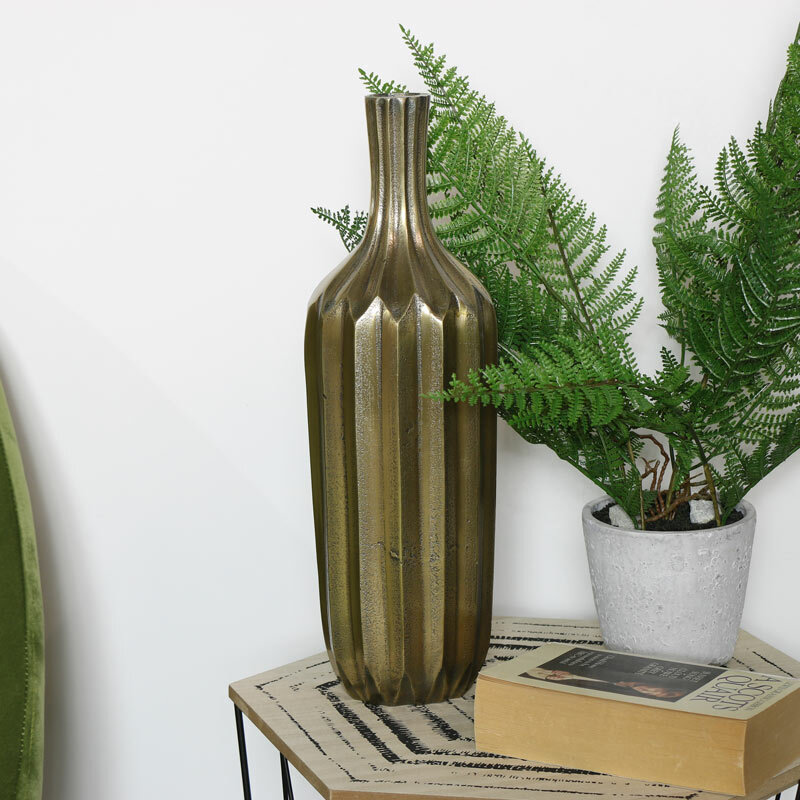 Vases make a timeless home accessory and can help to add those finishing touches to a room design. 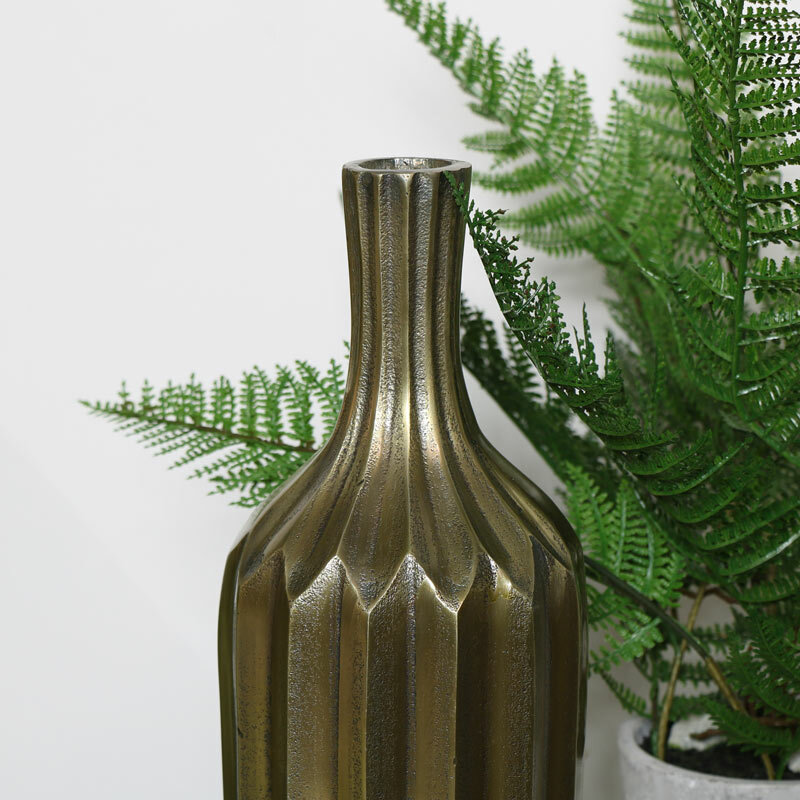 Add a contemporary look to your home decor with this stunning gold bottle vase. Perfect for creating a stunning floral display with a single stem or flower arrangement or simply as an ornamental feature. Designed with a ridged effect surrounding the body and neck of the vase. Offering a unique and decorative look, this will look fantastic on a sideboard or console table. Vases make a timeless home accessory and can help to add those finishing touches to a room design.